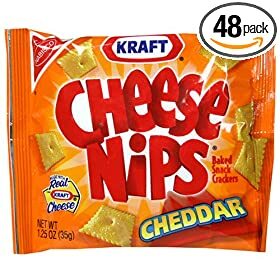 Posted by paripl110707 in Best Cheese Cracker, Best Cracker, Best Sweet-Potato Chip, Perfect Balance of Sweet and Salty. 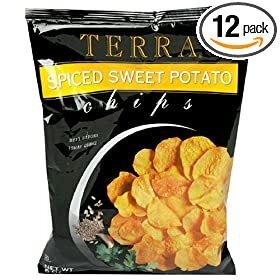 Terra Spiced Sweet-Potato Chips The perfect balance of sweet and salty. Per 1-ounce serving: 160 calories, 1 g protein, 14 g carbohydrates, 11 g fat (1 g saturated), 3 g fiber, 95 mg sodium. Pepper Farm Hearty Wheat Dense and crunchy. And not in the Swedish-cardboard-cracker kind of way, either. Per 16-g serving: 80 calories, 2 g protein, 10 g carbohydrates, 3.5 g fat (0 g saturated), 1 g fiber, 100 mg sodium.